Werner Baake was born on 1 November 1918 at Nordhausen in Harz. Baake was posted to I./NJG 1, based at Gilze-Rijen in Holland, on 21 November 1942. On the night of 11/12 June 1943, he claimed his first two victories. Baake claimed three victories on the night 22/23 June.  By the end of August 1943, Baake was serving with 3./NJG 1 based at Venlo in Holland. He had increased his tally to 23 by the end of 1943. On 22 January 1944, Baake was appointed Staffelkapitän of 2./NJG 1. He shot down a RAF Lancaster four-engine bomber over the Urft Dam on the night 27/28 January to record his 24th victory. However, Baake’s Bf 110 G-4 (W.Nr. 740 062) “G9 + ML” had been hit by return fire in this engagement. He and his crew baled out. Baake survived unharmed but his Bordfunker Uffz. Waldbauer was killed. Oberleutnant Baake was awarded the Ritterkreuz on 27 July for 33 victories. Baake was appointed Gruppenkommandeur of I./NJG 1 on 2 October 1944, succeeding Major Paul Förster (8 victories) who had been killed on 1 October. He claimed three victories on the night of 5/6 January 1945. Post-war, Baake was a flight captain with Lufthansa. He was killed in an aircraft accident at Heilsbronn on 15 July 1964. 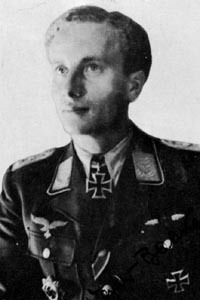 Werner Baake was credited with 41 victories from 195 missions. All his victories were recorded at night and include 37 four-engine bombers and one RAF Mosquito. At least nine victories achieved when he flew He 219A. 0:20 B-17 2./NJG 1 50km W Venlo: 6.400m / not confirmed? 0:09 B-17 2./NJG 1 W Venlo: 7.500m / not confirmed?